A few of the hollyhocks I sowed around April this year have decided to make a mad-dash for it and try to grow, flower and set seed all in one year. They look very pretty and the flower has a strong purple centre with petals that are pink fading through to white at the edges. 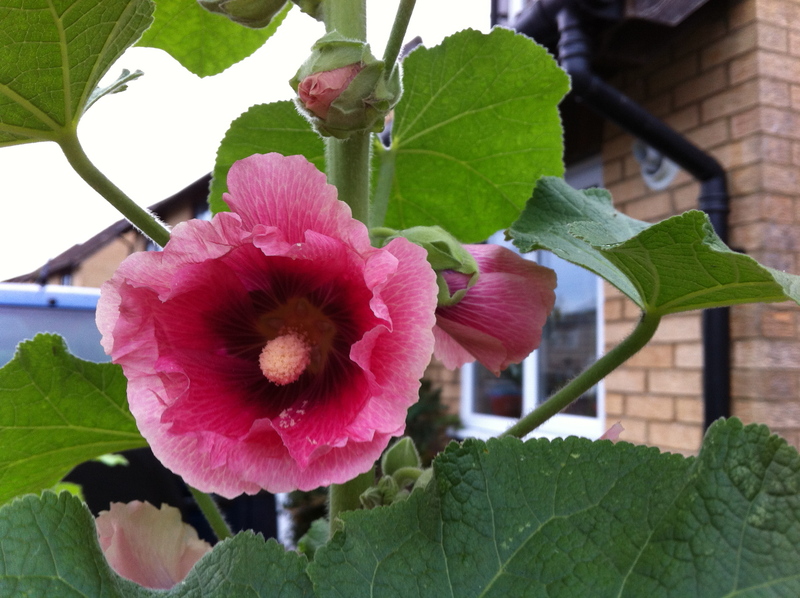 Hollyhocks are biennial plants so they’re supposed to spend the first year growing leaves and developing, and then they flower in the second (then set seed and then die). 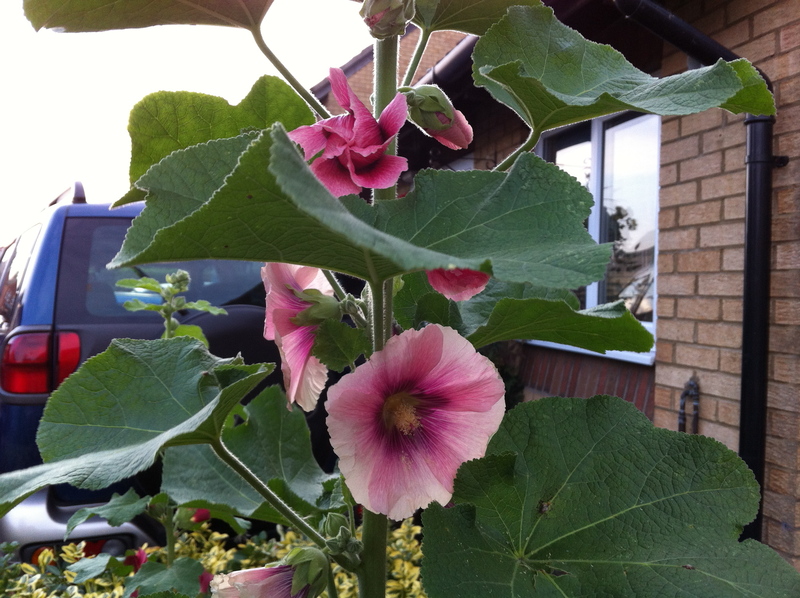 Indeed most of the hollyhocks I’ve sowed just have leaves at the moment and I’ll expect them to flower next year. As usual with hollyhocks I’ve had to try and keep a handle on hollyhock rust, which quickly set in but has been kept under control by using fungicide. Perhaps it was something to do with the hot spring, being started in the greenhouse or the warm Autumn but the hollyhocks in flower now are on borrowed time. We’re coming into November and the frost will not be long. I’ll have to wait and see whether the gamble that these hollyhocks have done will pay off or whether the weather will beat them before they can set seed.